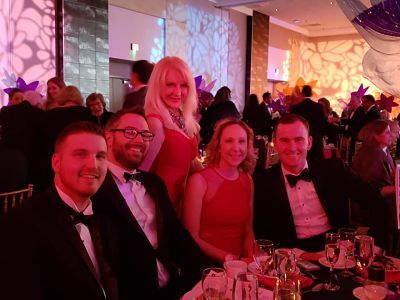 Volunteers worked tirelessly at the Benton Convention Center in Winston-Salem, NC to create a magical evening supporting JDRF on February 2, 2019. 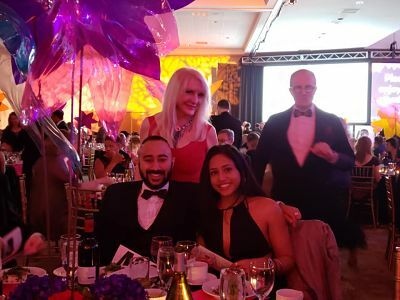 This year the 2019 Hope for a Cure Gala honored Ron and Linda Wellman whose daughter was diagnosed with Type 1 Diabetes at age 17. Members and friends of Woodruff Family Law Group along with over 1000 other guests came dressed to impress and party the night away. This black-tie event included fantastic silent auction items provided by prominent sponsors and partners and a mouthwatering dinner. More than $1.3 million was raised to fund research and advocacy programs to build support and raise awareness for T1D.